Jacksonville, Florida-based SaaS core banking company Finxact has raised $30 million in equity funding from new and existing investors. American Bankers Association (ABA), Accenture Ventures, SunTrust Bank, and other strategic industry leaders were new investors in this round. Finxact’s existing investors Live Oak Ventures, First Data, Woodforest National Bank, and T.N. Incorporation Ltd (TNI) of Thailand also invested in this round. With this round of funding, Finxact will complete development and build scale to match the market’s demand for a new category of core banking platform. 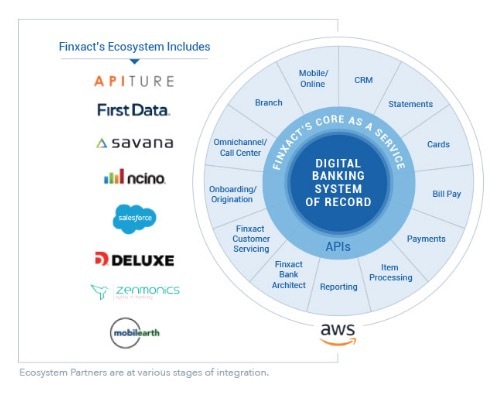 And Finxact’s Core as a Service represents a first of a kind option for banks to differentiate customer experiences by seamlessly integrating new services and migrating to a real-time digital banking enabled system of record. One of the biggest problems that Finxact is planning to solve is helping banks move on from antiquated high-cost systems and the inability to react to rapidly evolving customer demands. Finxact and the company’s partners share a vision to provide transformative solutions for every bank and to deliver a new category of banking platform. Finxact’s core banking platform provides the industry with a regulatory compliant system of record for processing core banking transactions. And the company’s partners and customers now have a platform for quickly creating new customer experiences and services using a highly accessible and customizable platform.